Experience Guatemala’s beautiful ancient history and cultural magnificance while also learning about the challenges facing its people and the impact that NPH is having. While on our journey, you will take several excursions visiting a coffee plantation, touring the chocolate museum, hiking a non-active volcano, exploring Lake Atitlan and enjoying the culture and nightlife in Antigua. 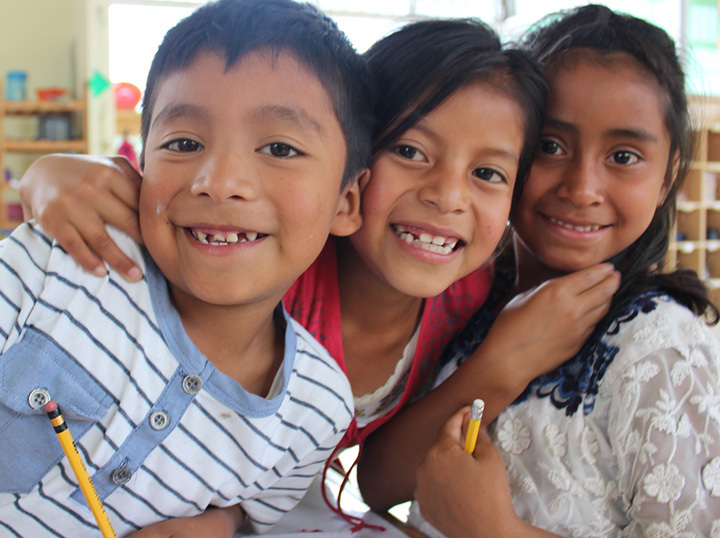 You will visit the NPH Guatemala home meet the amazing children and learn about their daily lives. Opened in 1996, NPH Guatemala is home to approx. 100 children. The home, Casa San Andres, is located 90 minutes west of Guatemala City, the nation’s capital. It is situated 5,800 feet above sea level in Guatemala’s beautiful central highlands, very close to the famous colonial capital of Antigua Guatemala. Casa San Andres has approximately 25 acres of land with a Montessori preschool/ kindergarten, primary and middle schools, vocational workshops, clinic, athletic fields, a farm and greenhouses. Nov. 7 – Travel to Guatemala, transport to Antigua hotel, meals on own. Nov. 8 – Breakfast included at hotel, Antigua sites, chocolate museum excursion, lunch on own, visit and dinner at NPH home. Nov. 9 – Breakfast included at hotel, Antigua volcano hike, lunch on own, visit and dinner at NPH home. Nov. 10 – Breakfast included at hotel, Lake Atitlan visiting religious/cultural/historical sites, lunch and dinner on own. Nov. 11 – Breakfast included at hotel, a full day at NPH Guatemala home lunch and dinner at NPH Guatemala home. Nov. 12 – Breakfast included at hotel, Antigua coffee plantation excursion, lunch on own, visit and dinner at NPH home. Nov. 13 – Breakfast included at hotel, Transport to Guatemala City – Travel day home, lunch and dinner on own. *Hotel accommodations will be at Uxlabil Antigua. Price excludes airfare, baggage, meals/drinks not listed in itinerary, personal expenses, or attraction costs/services not listed in itinerary. Tour NPH Casa San Andres Home and discover first-hand the effects that love and acceptance have on children who once struggled to survive. We will share four meals together, play and learn about the hands-on trades they learn at the home baking, sewing, carpentry and welding. Together our goal is to raise $4,000 in donations from our tour group, to express our financial support to strengthen NPH Guatemala. Each trip participant is asked to personally donate $400 which is fully tax-deductible or raise $400 from friends and family. You will experience firsthand how your support provides children with quality education, healthcare and food. If NPH USA cancels the trip, your payments will be refunded. If you cancel your trip, your deposit will not be refunded. For more information, please contact Stephanie Pommier: spommier@nphusa.org or call (651) 560-7106.